Being a landlord for a residential property is hard work that doesn’t fit into the hours of 9am to 5pm. It may not fit perfectly around your work and family commitments and it is actually quite time consuming especially if you have a difficult tenant or haven’t set clear tenant rules. It’s important you understand the legal rights and obligations you have as a landlord as well as the rules and responsibilities of tenants, so you know what to expect. It's important that landlords understand their legal rights and obligations, as well as the rules and responsibilities of tenants, so landlords know what to expect. 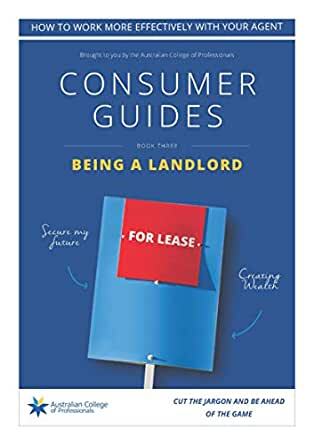 This Consumer Guides assists landlords to work more effectively with their agents in the management of their investment properties.